In the modern fashionable world of 2012, it’s becoming harder and harder to garner your individual character in public. With every celebrity now opening their own design houses and high street chains adopting the same fashion chains, it’s a tricky topic trying to stay unique. The key? Jewelry, of course! Everybody knows that accessorising is often the missing link in a great outfit; it can turn a nice get-up into a stunning ensemble. Even if you’re not able to invest in buckets of gold and silver jewelry, minimalism can work in your favour. There is some jewelry that you just shouldn’t leave home without. Earrings, particularly on ladies, are a fantastic and simple way to transform formal into elegant. They’re a subtle yet striking addition; try to get the right type of earrings for your face shape and eye colour. Silver jewelry goes particularly well with blue and green eyes, whilst gold earrings will accentuate brown, hazel and darker tones (which explains why I have predominantly gold-toned earrings - and jewelry in general). Longer, more ‘dangly’ earrings are great with shoulder-less or thin strap dresses. Shorter earrings or studs are more practical and be used to revitalise a tired work outfit. But the fantastic thing about rules is that they exist to be broken. In fashion, if you understand the rules then you can exploit them and combine segments to produce surprisingly unique results. A necklace is a great way to break up an outfit, and provide a barrier between the body and face of the wearer. Low cut dresses can be made more subtle with a throat necklace, worn at the top of the neck to draw attention away from the cut of your outfit. A long necklace can be used to accentuate the flows of a formal or a maxi dress, and bringing gems and stones into the mix can turn a monotone get-up into stunning elegance. 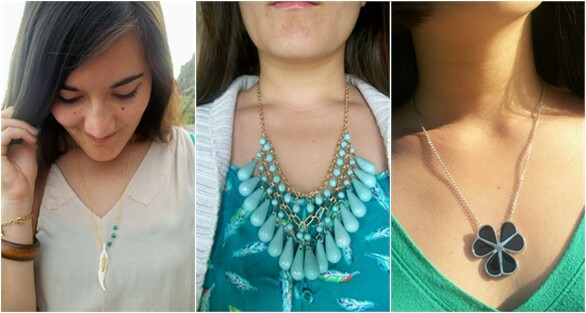 Don’t forget that necklaces can also be worn casually. Fabric necklaces with pendants or slim chains are great accessories for every day life. Def a big problem the key is to be authentic and strong to be sure to oneself. No matter trend or colour is "in" just do what you think it represents you. I find it easier to wear lots of different bracelets, I tend to stick to a few favourite necklaces and don't layer them so they aren't used as much. Why are you so so sweet! This is so helpful of you! I love necklaces the most simply because they are the most comfortable <3 But I think rings look really nice! I think that you always have a nice way of 'accessorising' your outfits. Thanks for these tips. Great statement pieces, I think a beautiful necklace is my go to accessory, it picks up a whole outfit. EArrings are my favorite, just 'cause if you buy them big enough, you don't have to worry about wearing a necklace (and vice versa). That, and earrings make me feel like a princess. Love the selection of items! Beautiful post! Oooh, love all the jewelry! i love necklaces! especially statement pieces! My favorite piece is rings!! Great advice! I've definitely been trying to wear jewelry more often. I Loce all itens, but the bracelet are my loves! great insightful post :) I agree, dangly earrings are great with outfits that have the shoulders more exposed. love statement necklaces too! to be honest.. i havent been wearing much jewelry like i used to. im not sure if im too busy to remember or if i've become keen on no jewels? either way, youve inspired me to wear more! hope you are well, sweetie! I'm not the biggest fan of jewelry and I don't wear a lot, but when I do they are statement pieces that I feel make or break the outfit. Which is important, because it's all in the details! Damn, I should wear more jewellery for sure, I hardly ever wear it! I love wearing all of them ! 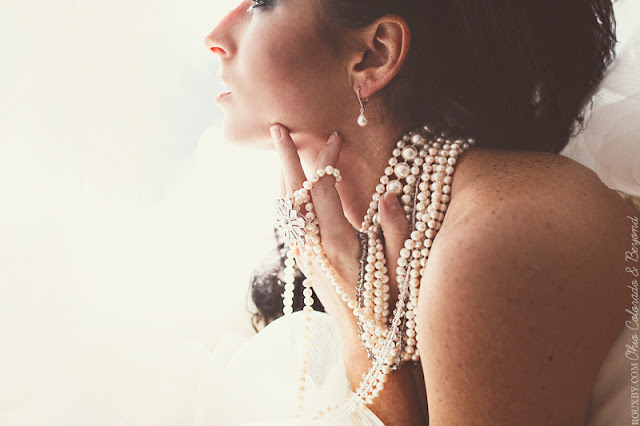 i love the pearls necklaces in the first pic! Really lovely post! I like all kind of jewelry! I´m in love with bracelets lately! Jewelry definitely completes an outfit, I love bold statement necklaces! yes accessories make such a difference! Thanks for stopping by...Have a great start to the week!